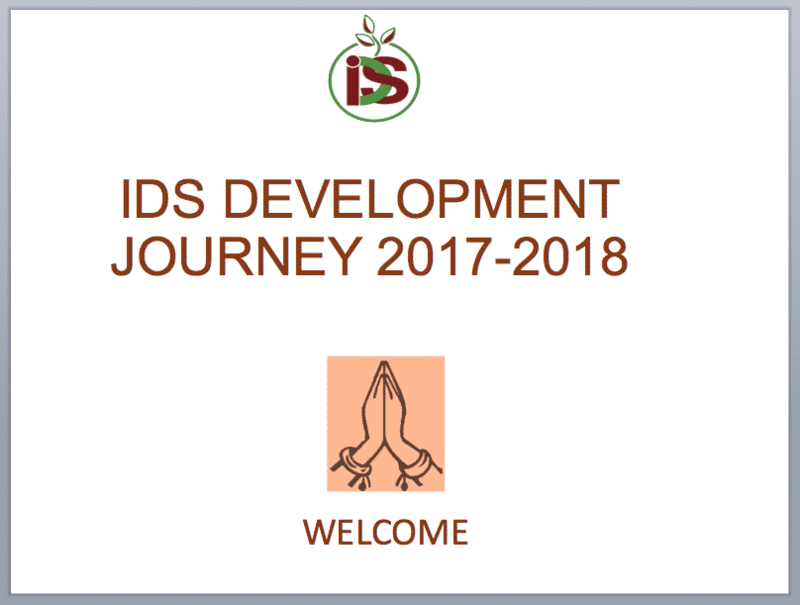 On Sunday, March 25, 2018 friends and supporters of IDS gathered with IDS board members to hear about new projects over a buffet lunch at a local Indian restaurant. This was the second annual Donor Appreciation Lunch IDS has sponsored. 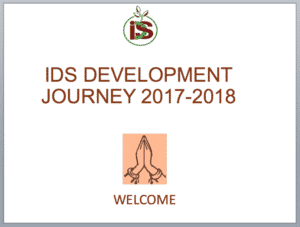 As before, donors got a chance to speak informally with board members and other friends of IDS as the new projects for 2018—approved by the board during the past few weeks—were presented. The proposal for the Mobile Vaani project was submitted by Shramik Bharti, an NGO. The project uses mobile phone technology to educate farmers on ZBNF (zero based natural farming) practices. ZBNF is a holistic agriculture method that seeks to eliminate the need for outside materials, such as toxic pesticides and commercially produced fertilizers. Goonj proposes to work in a backward district of Bihar. The NGO’s main focus is the “cloth for work” concept: the use of discarded clothing from urban areas as a development resource for villages. Rather than giving villagers a paycheck for their work on the village infrastructure, Goonj will compensate families by giving them a family kit (containing clothing, toys, quilts, and school supplies) every 6 months. In this way, urban surplus material becomes a tool for social change. The purpose of this project is income generation. Samavesh currently works with women’s self-help groups (SHGs) in more than 22 villages. With the new IDS funding, the NGO hopes to reach out to 30 villages, doubling the number of women helped. Samavesh operates a training center in livelihood activities such as poultry farming, vegetable farming, and allied agricultural activities. Inspired by Gandhian values, Manav Sadhna (an NGO based in Mahatma Gandhi’s Ashram, Ahmedabad) proposed a women’s empowerment project featuring Ashram Mitra, a new concept. This project would provide leadership training as well as basic health/nutrition support for participants. The IDS grant will support one Ashram Mitra, which will train 20 young women from backward areas as leaders.